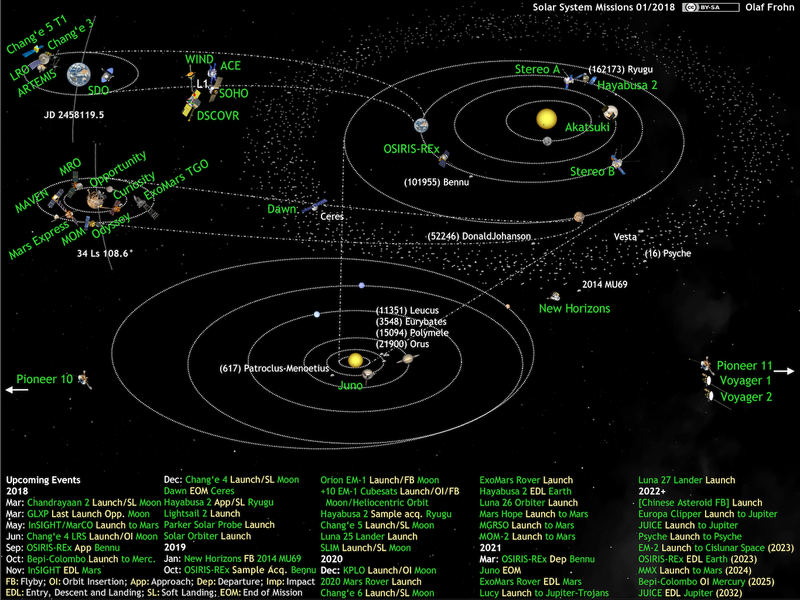 Here's my map of all active and future Solar System Missions as of January 1st 2018. I know somebody is going to try to throw a car at Mars, but sorry, that dosn't count as "Space Eploration" in my book. Data, images and documentation are available on my space exploration history GitHub repository and the associated website.